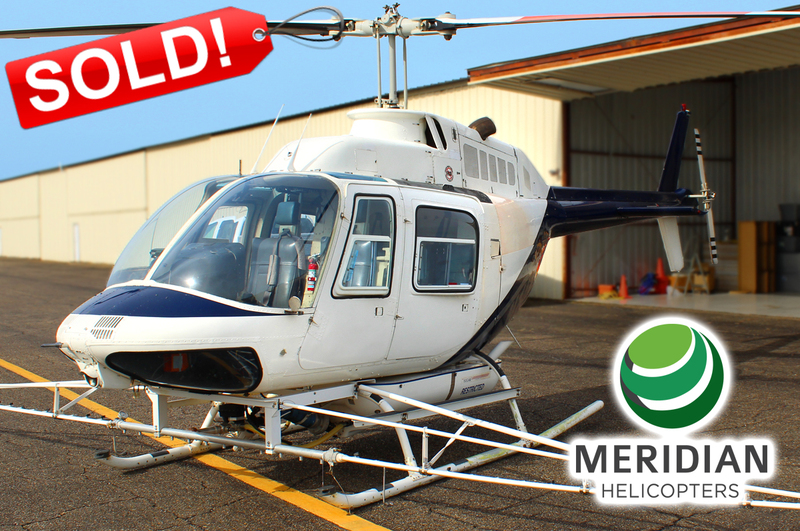 Well equipped Bell Helicopter 206B3 Jet Ranger with spray system available for immediate sale. Owner is accepting offers to purchase. Range – 374 Nautical miles Empty weight – 2,000 lbs. Ceiling – 13,500+ feet Max gross weight – 3,350 lbs. Rate of Climb – 1,350 feet / minute Fuel capacity – 91 gallons / 610 lbs. Crew (typical) – 1 or 2 External load – 1,500 lbs. Passenger (typical) – 3 or 4 Internal load – 1,487 lbs. 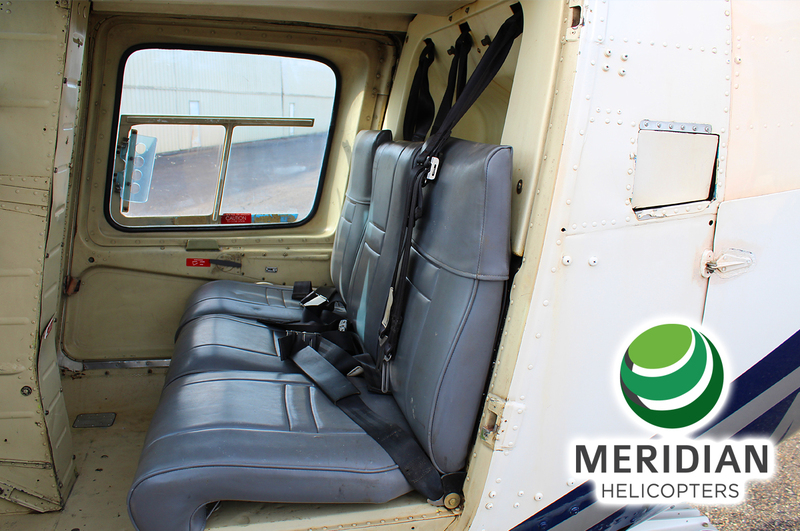 Storage – 22 cu ft.
Meridian Helicopters to Display Two Bell Helicopter 206L4’s at Heli-Expo in Dallas, TX. 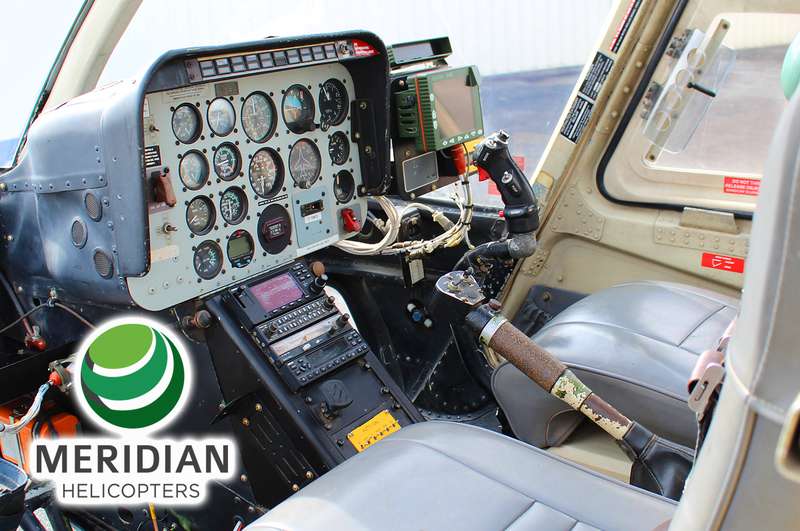 Meridian Helicopters LLC focuses on elevated professionalism with an eye for improved business solutions. Meridian is positioned to help navigate, advise and consult regarding your company’s needs in Aircraft Brokerage and Leasing or Aircraft Pre-Buy Inspections. 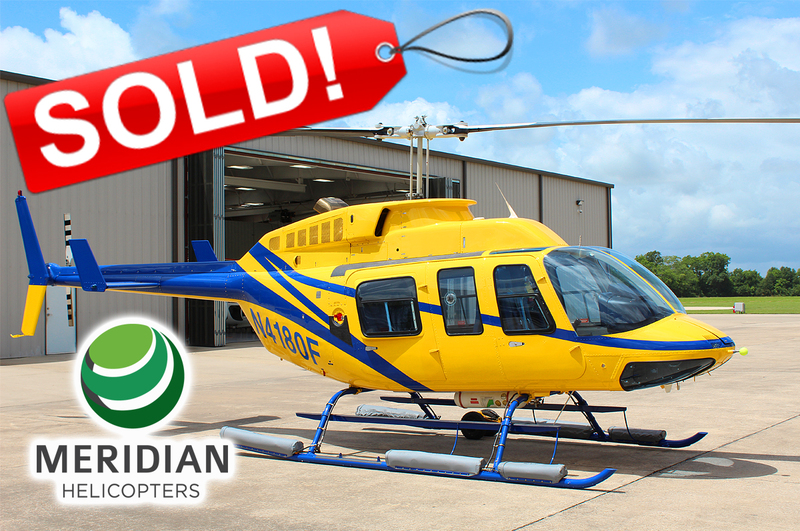 Our dedication and knowledge will alleviate your time and stress in the selling of your helicopter from start to close of escrow. With high-end VIP-style Bell 206L-3 or utility helicopters available for lease, we provide executives with the option of travelling in style. Custom packages are available to suit your mission. With so many unknowns into the history of an aircraft, we can assimilate and direct you in the right direction. With analytical and critical inspection criteria, we examine aircraft and their records to give you reasonable facts to make sound judgements for your organization. Let us direct you for Insurance and Financial requirements. We can guide and assist you through our channels of experitise and give you the best possible choices. "I am sure your experience, integrity and customer focus will result in good results for you and for the customers you serve." "I appreciated the way in which you would get fully involved in your work, and the enthusiasm with which you embraced the numerous challenges presented..."
Brian Nerney, Director Ranger Rotorcraft Group, Inc.
"I would give Mike an unqualified recommendation as a trustworthy business partner with deep domain expertise in the aviation industry." "It was my distinct privilege to work closely with Mike Bashlor in our rotorcraft operations in Texas. I recruited him personally because of his extraordinary track record. He's a business leader and helicopter technical expert who makes things happen. I am proud to call Mike Bashlor my colleague and friend." 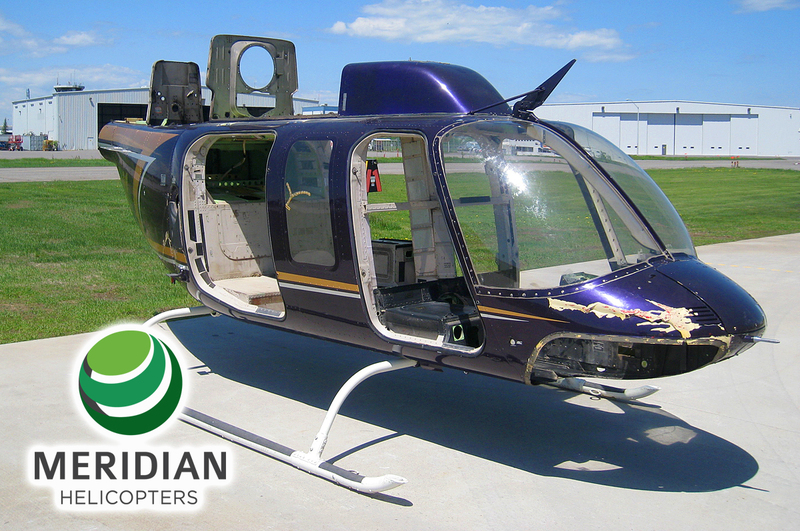 Meridian Helicopters LLC is a diversified, forward-thinking, “all encompassing” firm that specializes in Aviation related Business with an emphasis on helicopters, domestic and international. 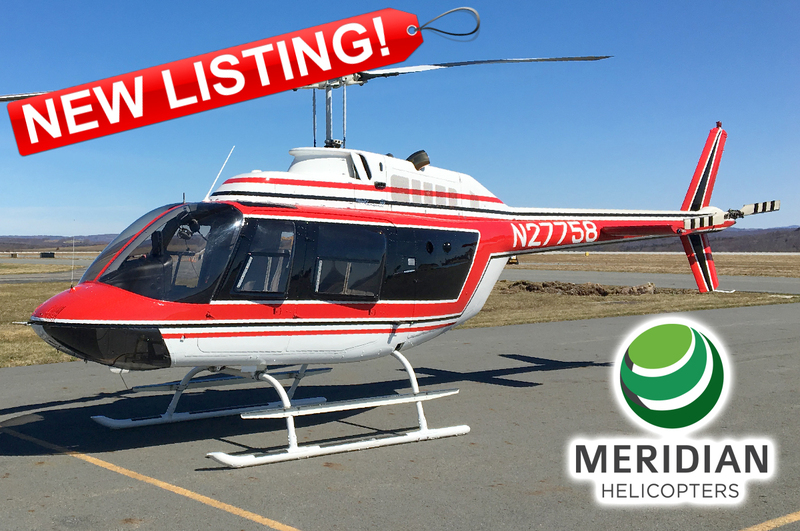 Send me your latest helicopter listings each month!